Another favorite Gundam title I like as the series had an organic feel to it with the characters being normal pilots and not possessing special abilities and piloting flashy mechs, which I liked and the romance between the Federation soldier, Shiro Amada and Zeon's Aina Sahalin. The Miller's Report short movie was okay in regards to the new footage, but I think it could've been incorporated into the actual series as an episode, as it was mostly showing a recap of episodes 7 & 8. One of the best Gundams. The story fits into the Universal Century timeline, but its events aren't directly connected to the older UCs. This is a good thing, because the standalone plot is less convoluted and marred by age than, say, Zeta Gundam. 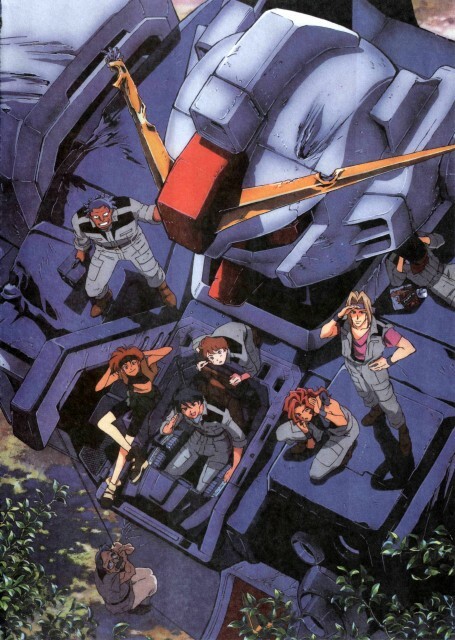 No feedback on Mobile Suit Gundam: The 08th MS Team.